Jahrzehntelang gehörten die „Kastenwagen“, die mit den aerodynamischen Standards von heute nichts gemein haben, zum Stadtbild. Doch nach und nach wurden sie durch die moderneren Fahrzeuge der Marken Ford oder Chevrolet ersetzt. Im Jahr 1982 kam dann das Aus für die Kultfahrzeuge, die bis zu sieben Personen Platz boten. 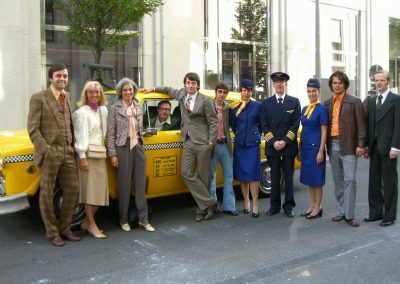 Checker Cab Co., die Herstellerfirma aus Kalamazoo in Michigan, musste wegen mangelnder Nachfrage die Produktion einstellen. Das Sterben der Checker-Taxis, die 20 Liter und mehr Benzin auf 100 Kilometern verbrauchten, begann. Ein einziges hielt noch bis zum vergangenen Juli durch. Doch als es insgesamt 1 ,58 Millionen Kilometer auf dem Buckel hatte, musste selbst sein Besitzer und Fahrer Earl Johnson einsehen, dass es mit der Checker-Zeit vorbei ist. 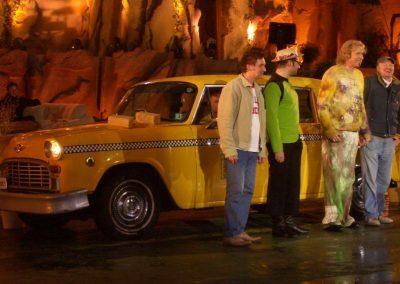 Johnson, der das Taxi 18 Jahre lang gefahren hatte, hängte die Schlüssel an den Nagel und lebt seitdem von seinen Ersparnissen auf Jamaika. 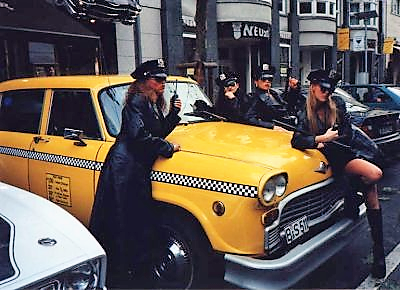 Am 18.12.1999 wurde das letzte Checker-Taxi dann von Sotheby’s versteigert. Der anonyme Bieter gewann die Auktion bei 134.500 Dollar incl. Auktionshauskosten. Sotheby’s erwartete eigentlich nur um 50.000 Dollar. Earl Johnson, der vorherige Besitzer, kaufte den Checker vor 21 Jahren für 9.000 Dollar. Founded by John Hertz in 1915, Yellow Cab is the oldest and largest cab management and services provider company in the U.S. Hertz began with a small stake in a Chicago automobile dealership and successfully turned it into a profitable business within a year. With the surplus of used cars that were traded in for new ones at his dealership, he hit upon an innovative idea: turn them into taxicabs. John Hertz remained in charge of Yellow Cab until 1929 when he left the cab business to start another new venture in the rental car industry. When Hertz left he also took the color yellow which remains a part of the Hertz Rent-a Car logo. Color choice was only one of Hertz’s accomplishments as a cab company owner. He convinced the City of Chicago to invest in traffic lights by installing his own on Michigan Avenue between Randolph and 12th Streets. The resulting improvement in traffic conditions sold the city on expanding this traffic light system. To show its appreciation Chicago reimbursed Hertz for the costs of the lights he had installed. Hertz’s company, which was incorporated December 1, 1915, devised a manual windshield wiper for its cabs. These were soon replaced with the first automatic windshield wipers. Hertz also liked the new Firestone balloon tire which provided a more comfortable ride for passengers. He converted all of his cabs to wider rimmed wheels to accommodate the tire. Hertz’s use of the new tires helped to make the tires a success. During the period Hertz was developing Yellow Cab Company Russian-born Morris Markin was working as a tailor in Chicago. He brought his nine brothers and sisters to America on his earnings. Through years of hard work and labor Markin prospered in the financial arena and purchased a small auto maker, Commonwealth Motors, an auto body company that he later moved to Kalamazoo, Michigan. With friends from Checker Taxi, an affiliation of taxi drivers founded February 6, 1919, Morris Markin was able to establish his Checker Cab Manufacturing Company, February 2, 1922. The famous Checker Marathons, used by the cab industry throughout the country for more than 60 years because of the roominess and reliability of the vehicles, finally ceased production in 1982. They remain as collectors‘ items in many private and public automobile collections. Eventually Markin and his partners owned much of the cab business in Chicago. In 1929 they bought 60 percent ownership in Yellow Cab, including all of John Hertz’s holdings. Within a few years Markin’s group had control of both Checker and Yellow Cab in Chicago. 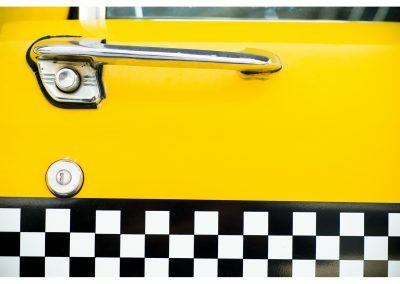 By 1935, they had converted Checker Taxi from an affiliation to a corporation, and had taken Yellow Cab from a publicly-held to a privately held company. In 1989 Checker again became an independent association and was divested from Checker Motors, the parent company. 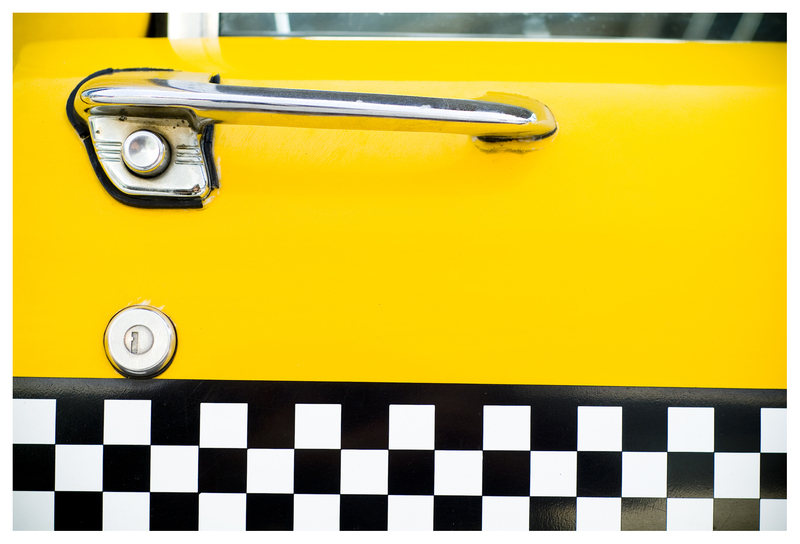 Yellow Cab has been the leading innovator in the cab industry for the past 85 years. It was the first cab company to install seat belts in the rear of its cabs before they were mandated. Yellow Cab was also the first to utilize antilock brake systems, child safety restraint seats, a computerized safety tracking system in its vehicles and a state-of-the-art computer dispatch system. In 1996 Yellow Cab was sold for the first time since Morris Markin took control of the company. The current owners will be the ones to write the next chapter of our history. That chapter promises to be just as fascinating as our previous 85 years as we move forward in our efforts to provide innovative service to Chicago’s taxicab medallions owners and their passengers.